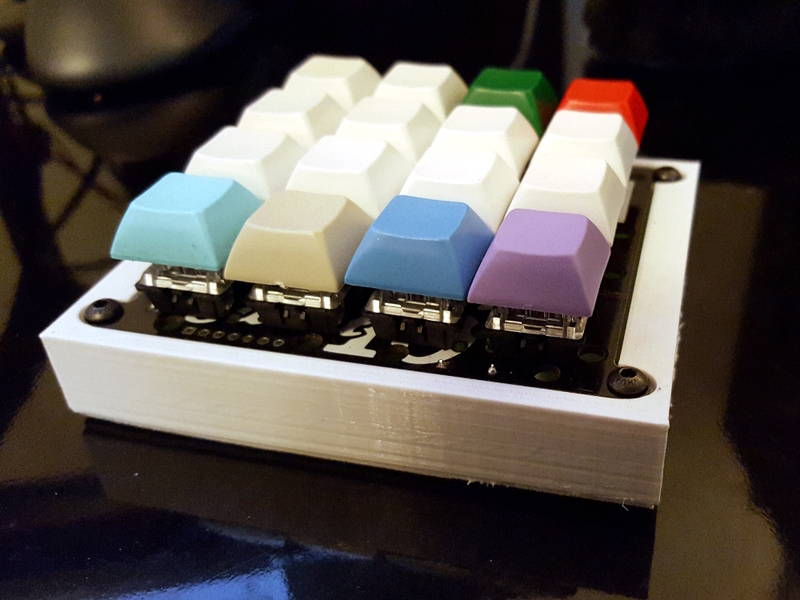 A few days ago, I ordered the parts to build a Sweet16 Macro Pad from 1Up Keyboards, and while I waited for the parts to come in, I 3D printed a case for it. This was going to be a fun little build log, but I got too into the building and forgot to take photos, so instead I'll do a before and after. 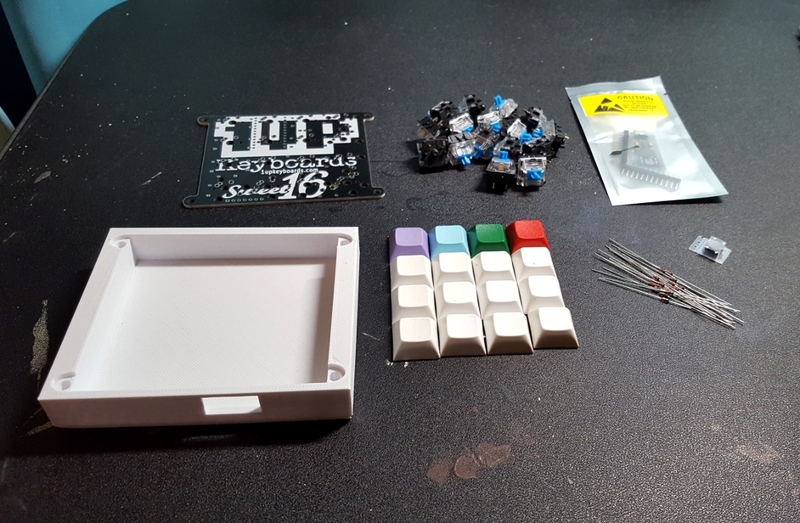 PCB, Switches, Sparkfun Pro Micro controller, 3D printed case, some DSA keycaps, diodes, and a reset switch. I switched out a few keycaps and added some white foam to the bottom of the case so it wouldn't slide around on the desk. That light grey keycap sits a little low, but it's a product of the keycap, not the switch position. It was effectively pulled from a bag of QA rejects and overflow. Programming was simple. 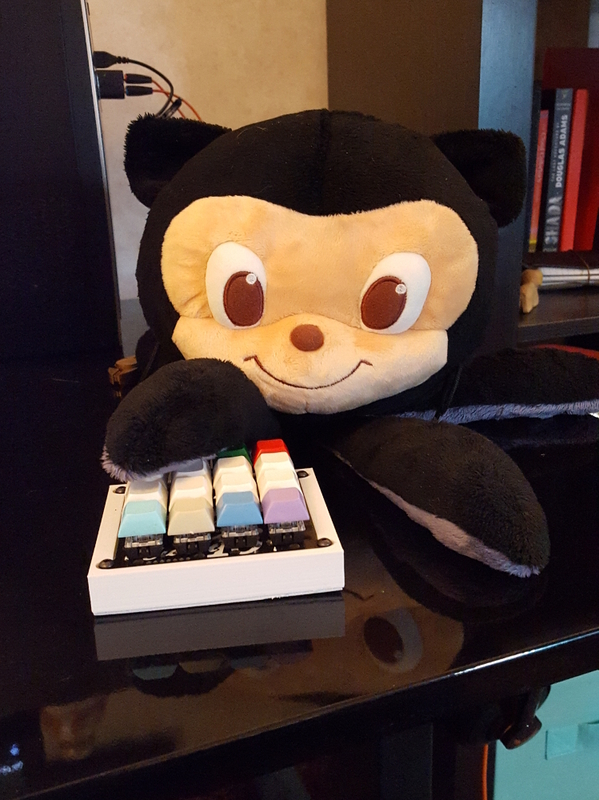 I built a .hex file in Keyboard Layout Editor flashed it to the chip with AVRDUDE. I did spend a good 30 minutes trying to figure out where I'd gone wrong in my soldering in an attempt to determine why the computer wasn't recognizing the device. Turns out I was using a MicroUSB cable that was power only.... Derp.